ANKARA (Sputnik) - Turkish media reports about possible purchase of Russian Su-57 fighters instead of US F-35 jets are based on experts' opinion and do not reflect the official position of Ankara, a source in the secretariat of the Turkish defense industry told Sputnik. 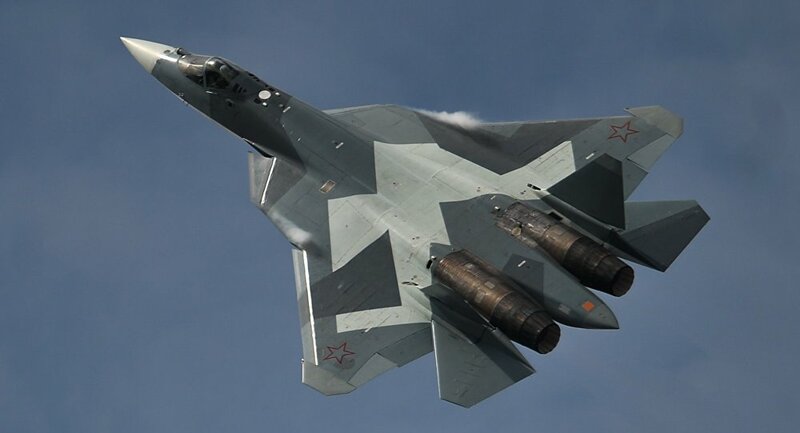 On Sunday, the Yeni Safak media outlet reported Turkey may purchase Su-57 jets if the United States blocks deliveries of F-35 planes because of Ankara's decision to buy Russian S-400 air defense systems. "The reports are based on experts' opinions. We cannot confirm that. Such publications do not reflect the official government's position yet," the source said. In December 2017, Russia and Turkey signed a loan agreement to supply S-400 air defense systems to Ankara. According to a statement by the Turkish defense industry secretariat, two S-400 batteries will be operated and serviced by the Turkish military. In mid-April, Assistant Secretary of State for European and Eurasian Affairs Wess Mitchell said Ankara's purchase of the S-400 air defense missile systems from Russia could negatively affect the delivery of the fifth-generation F-35 fighter jets to Turkey. In addition, a group of senators comprising both Republicans and Democrats wants to block the supply of F-35s to Ankara due to the arrest of US Pastor Andrew Brunson, who is being tried on charges of aiding terrorist groups.